Leading off this week, we all know that “laser” stands for Light Amplification by Stimulated Emission of Radiation, but how do they work? TE Connectivity gives us a quick look with their Top 5 Tech infographic post. Our friends over at Brady tweeted an OSHA article that listed the organization’s Top 10 Safety Violations. Learn about the impact that women are having in science and technology with this post about National Women in Engineering Day by MAKE Magazine. How cool (or hot, depending on your preference) is this? NIST shared a Wired.com post about an MIT wristband project focusing on eliminated AC for buildings and instead cooling/heating people individually. Post by National Institute of Standards and Technology. If you’ve been waiting for your Amazon.com package to come flying to your home, you’re out of luck. Mashable’s post looks at a recent ruling that says these types of drones are illegal under current regulations. And we close out this week’s column with our post of a behind-the-scenes look at ACL Staticide’s Steve Allen in our office to shoot some “On the Bench” videos. Save 22% off the MSRP on a roll of Ergomat’s DuraStripe Lean Red 3" x 200' Floor Marking Tape (MFG Part Number: DSL3200R) when you use our FPF062714 Coupon Code. This Featured Product Friday (FPF) promo is valid from today, June 27, 2014 through Sunday, June 29, 2014. This Ergomat DuraStripe Lean Floor Marking Tape (Q Source SKU: T023-000164) is a long-lasting floor-striping solution that is ideal for harsh environments or heavy traffic areas. Regularly listed at $179.00, but with our FPF code savings you’ll get it for just $140.00 (a savings of $39.00). While this is a 3-day limited-time price, the coupon is unlimited. Use the code as many times as you like while it is valid—and please feel free to share the code with your friends & colleagues, too. Each week, we’ll promote our FPF selection on The Q Source Resource, via our email newsletter, and all over our social media accounts. We encourage our valued customers to read those resources and to visit QSource.com on a regular basis for the latest FPF offers (look out for our FPF logo). 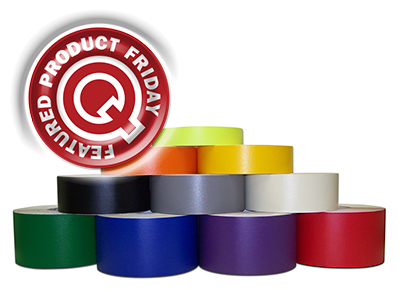 Please tell your friends & colleagues about Featured Product Friday. For further questions about Featured Product Friday, please read our informational blog post, call us (800-966-6020), or send us an email. Please note: This promo is valid only at QSource.com. Andersen Company high-performance mats are available in a number of popular brands, such as Hog Heaven, Waterhog, Comfort Flow, Happy Feet, and Cushion Max, for use in a variety of markets including Janitorial/Sanitary Supply, Safety/Industrial, Food Service, Floor Covering & Commercial Catalog. Check out our Flickr photo set to get a closer look at Andersen Company’s Entrance & Anti-Fatigue Floor Mats. To purchase Andersen Company Mats please visit QSource.com. Transforming Technologies has released a new product for folks who need the personal grounding protection of an anti-static wrist band, but are allergic to common metals. The WB5600 Series Anti-Allergy Wrist Band & Coil Cord Set features hypoallergenic, silver-plated nylon thread and a back plate with a plastic cover to eliminate metal-on-skin contact. 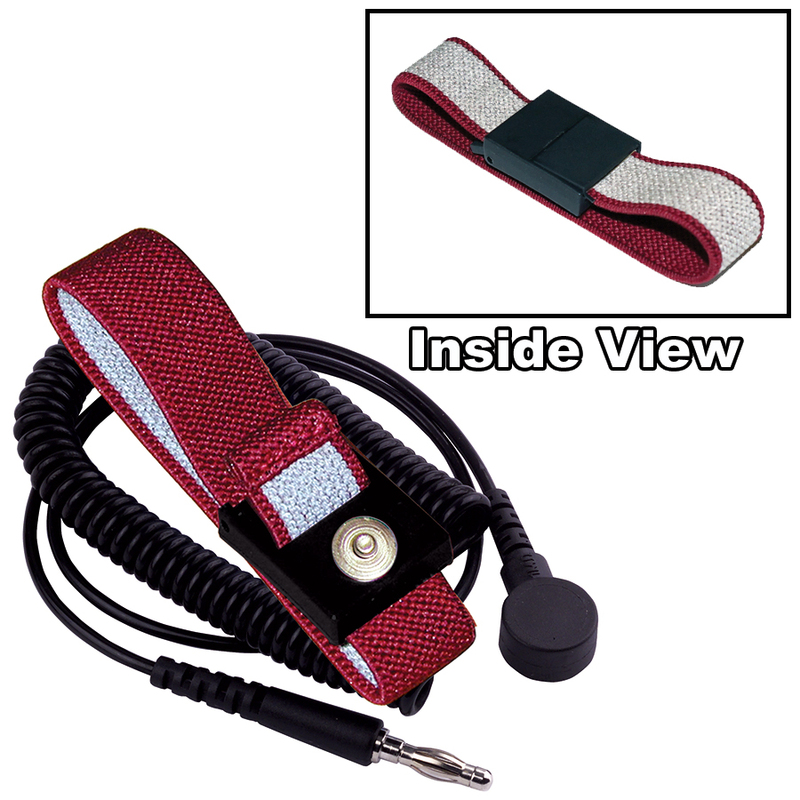 Available in 6', 12' and 20' coil cord lengths (the WB5026 Woven Wrist Band is also available without a cord), these maroon-colored WB5600 Series sets (coil cord is black) provide 360-degree conductive contact around the wrist, which allows the skin to breathe while still giving maximum skin contact. The coil cord has a 2.5 mm polyurethane insulation with a 4 mm snap that works with most standard wrist bands. A swivel-type banana jack promotes extended coil life and prevents annoying cord tangles. To purchase a WB5600 Series Anti-Allergy Wrist Band/Coil Set or WB5026 Wrist Band only, please visit QSource.com. In addition, our site's Transforming Technologies Department offers more than 300 other items. If you have further questions about these products, or need help placing an order, you may also contact us at 800-966-6020 or via email. If there's a product or topic you'd like to see The Q Source Resource write about please let us know. We'd also appreciate if you share this blog post with your friends and colleagues via the social media links below. If you have questions or remarks about these new anti-allergy wrist bands, or anything on The Q Source Resource or QSource.com, please leave us a message in the comments section. For additional Q Source product information, reviews, how-to articles, and special offers please subscribe to our email newsletter. Leading off this week, Weller shared this hot video showcasing their various heating technologies. If you were gonna build the world’s tallest towers what color would you make them? Workrite Ergonomics’ posted per China’s plans pertaining to pink pillars. Ever wonder how to use confirming pliers? Art Jewelry magazine’s post directed us to how-to videos about tools like confirming pliers, texture hammers, shape cutters & more. Post by Art Jewelry magazine. First it was Tang and Velcro, now it’s 3D printers. MAKE Magazine shared this post that filled us in about the first 3D printers made for use on the International Space Station. There’s not too much to say about Mashable’s post other than: Chocolate Drone! 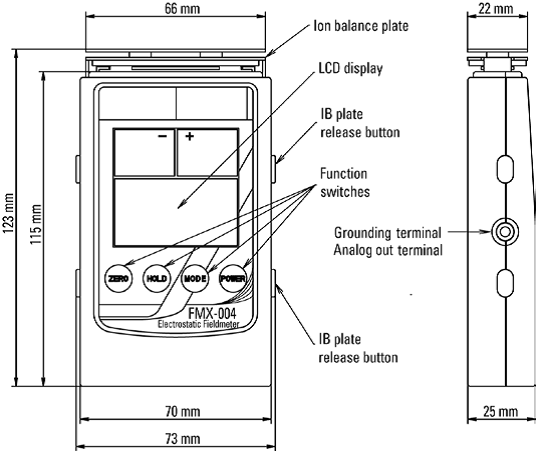 And we close out this week’s column with our post about Simco-Ion’s new FMX-004 Electrostatic Field Meter. Save 13% off the MSRP on a Simco-Ion FMX-004 Electrostatic Field Meter (MFG Part Number: 91-FMX-004) when you use our FPF062014 Coupon Code. This Featured Product Friday (FPF) promo is valid from today, June 20, 2014 through Sunday, June 22, 2014. 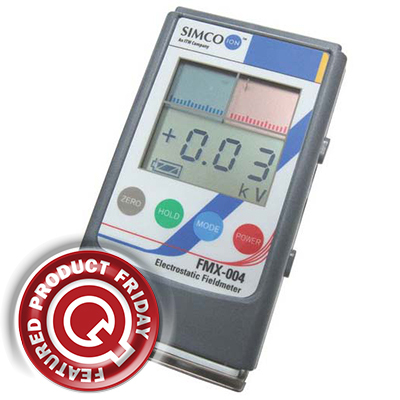 This Simco-Ion FMX-004 Electrostatic Field Meter (Q Source SKU: I051-000462) is used to locate and measure both positive and negative polarity charges within ± 30kV (30,000 V) at a distance of 1" (read our recent blog post for further information about the FXM-004). Regularly listed at $625.00, but with our FPF code savings you’ll get it for just $545.00 (a savings of $80.00). While this is a 3-day limited-time price, the coupon is unlimited. Use the code as many times as you like while it is valid—and please feel free to share the code with your friends & colleagues, too. The Master Appliance PH-1000 ProHeat® Heat Gun with Momentary Contact Safety Switch is compact, lightweight, and easy-to-use with a balanced ergonomic design and a Momentary Contact Safety Switch, which will turn off the gun when the user is not holding it. Check out this Flickr photo set to get a closer look at this Master Appliance ProHeat® Heat Gun. To purchase the Master Appliance PH-1000 please visit QSource.com. Fans of Simco-Ion's FMX-003 Hand-Held Field Meter will be excited to hear that Simco has replaced it with the brand new FMX-004 Electrostatic Field Meter. This pocket-sized, lightweight, 4-button operation (Power On/Off, Zero Adjustment, Mode & Hold) handheld meter is available now at QSource.com. Simco-Ion has taken into account the various environments and applications that the FMX-004 will be used in and designed it accordingly. The unit is easy-to-read (with a Hold button that retains the static charge in case the user cannot readily see the display), includes a conductive case and ground strap for grounding, and has an auto shut-off feature making it energy efficient. The Simco-Ion FMX-004 Electrostatic Field Meter locates and measures positive and negative polarity charges within ± 30kV (30,000 V) at a distance of 1" using air ionization. The unit features two LED guide lights and an audible alarm to help the user position the FMX-004 at the right distance from the charged test object. Measured results are displayed in both numerical and bar graph formats and signals to a chart recorder or similar devices for hard copy documentation. The user can also access the analog output (with optional cable and bracket) for feeding the output signal to a data acquisition card, data logger, PLC, chart reader, etc. 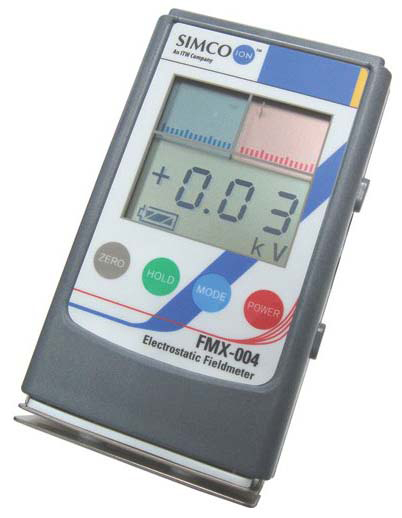 The FMX-004 features extended measuring ranges when compared to the FMX-003 (measuring ranges: low = 0 to ±1.5 kV, high = 0 to ±22.0 kV, ion balance (Charge plate installed) = 0 to ±200 V). Visit QSource.com to purchase your Simco-Ion FMX-004 Electrostatic Field Meter. You may also contact us via phone (800-966-6020) or email for questions, more info, or to make a purchase. If there's a product or topic you'd like to see The Q Source Resource write about please let us know. We'd also appreciate if you share this blog post with your friends and colleagues via the social media links below. If you have questions or remarks about the Simco-Ion FMX-004, or anything on The Q Source Resource or QSource.com, please leave us a message in the comments section. Thirteen days. That’s it. 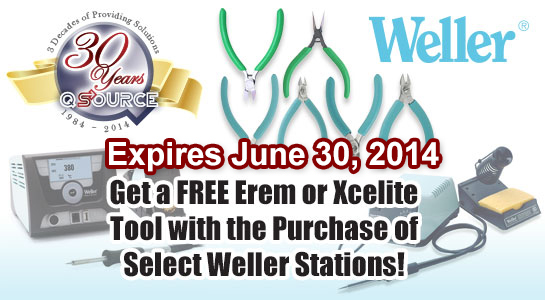 You have thirteen days left to get your FREE Xcelite or Erem tools with the purchase of an eligible Weller Soldering, Desoldering, or Rework Station. This second of our quarterly 30th Anniversary Partner Promos expires on June 30, 2014. There are 80 different Weller station/FREE tools combo available. The FREE tools range in use from general purpose applications to micro-electronics. You’ll find each tool matched up with a specific Weller station at our Web site, making it easy to add the combo to your shopping cart with just one click. 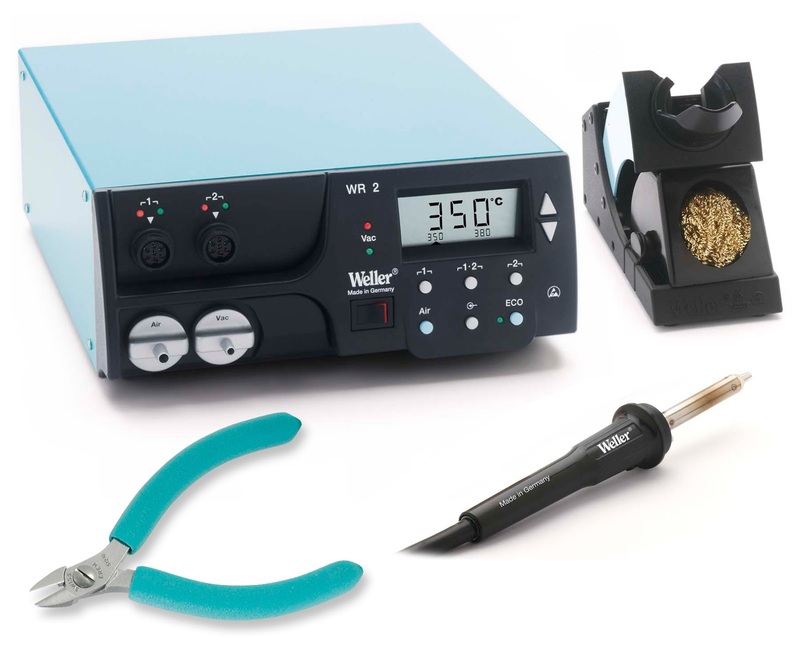 If you’re a fan of Apex Tool Group’s quality Weller, Erem, or Xcelite brands, and in the market for a new soldering/desoldering/rework station, this is an excellent opportunity to get a top-notch station AND a solid hand tool as a FREE bonus. Please Note: Our Weller Partner Promo expires June 30, 2014. No coupon code is required to receive the FREE tool—just add the station/tool combo to your shopping cart. Check out our 30th Anniversary Partner Promo page to make your purchase or contact us via phone (800-966-6020) or email. If there's a product or topic you'd like to see The Q Source Resource write about please let us know. We'd also appreciate if you share this blog post with your friends and colleagues via the social media links below. If you have questions or remarks about anything on The Q Source Resource or QSource.com please leave us a message in the comments section. Leading off this week, we’ve all heard talk of drones and driverless cars, Elkay Plastics shared a post that looks at these technologies and their impact on business models. LPGA Champ Lorena Ochoa Reyes shared this post about teaming up with our friends at American Hakko for a charity golf tournament. Could an upper cut to the jaw lead to a ruggedly handsome face? Laboratory Equipment magazine shared this post that claims faces evolved to better handle and minimize injuries from punches to the face during fights between males. Oh, Star Trek, we’ve always been envious of your world’s technology. ThomasNet’s post looks at a real-life tractor beam. Can transporters be far behind!? This YouTube-featured video post had us laughing…and then looking for a comfy place under our desks to curl up in a ball. And we close out this week’s column with our post of Q-Bot announcing our official 30th Anniversary date. Save more than $64.00 off the MSRP on a case of 1,000 Q Source Blue 12” x 18” Open-Top Anti-Static Bags (MFG Part Number: 12X18X.003-BLUE-NON-ZIP) when you use our FPF061314 Coupon Code. This Featured Product Friday (FPF) promo is valid from today, June 13, 2014 through Sunday, June 15, 2014. 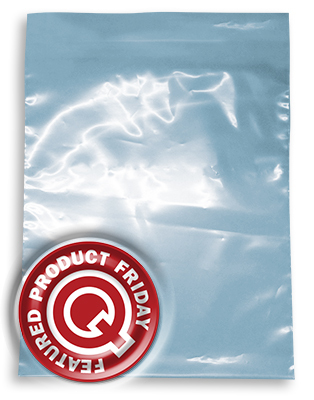 These Q Source Open-Top Anti-Static Bags (Q Source SKU: P041-000103) are perfect for packaging static-sensitive and non-static-sensitive components in areas where electrostatic contamination may be a problem. Regularly listed at $204.16, but with our FPF code savings you’ll get it for just $140.00 (a savings of $64.16). While this is a 3-day limited-time price, the coupon is unlimited. Use the code as many times as you like while it is valid—and please feel free to share the code with your friends & colleagues, too. The Pareto Principle (also known as the 80:20 rule), irrespective of the nature of your business, holds that 80% of the consequences of any action come from 20% of the causes. This principle can actually be applied to everything you do. At ACL, we implement 80:20 simplification and rationalization disciplines into everything we do, including new product development and commercialization. Apply the 80:20 rule to the information you receive: 20% is useful, whereas 80% is not. The key is to identify and focus on that 20% and ignore or remove the rest completely. The same is true of time expended for results achieved. 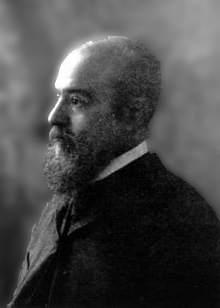 Think of the benefits of applying the Pareto Principle to your time management and personal and business productivity! Which one of these statements rings true for your business? The common approach to business is to squeeze every last drop out of each opportunity, to go "100% all-out," without consideration of the impact on time, productivity, and waste. 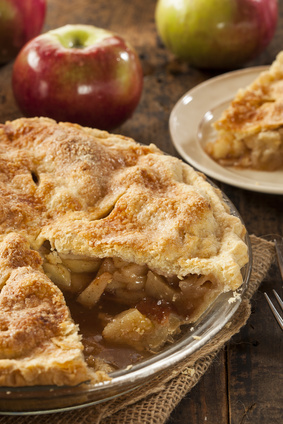 Simple, time-efficient businesses recognize that it is fundamentally inefficient to go for the "whole pie" when you can get the majority of results for the minority of effort. With knowledge of the 80:20 lean simplification principles, you can concentrate on what wins you customers and successes in the most efficient manner and in the shortest amount of time. Look at your business and concentrate on the 20% that produces the 80% of benefit. Spend 80% of your time doing the 20% that really gets you results. It’s not just about working smarter—it's about working smarter on the right things that will get you the best results. Pareto rules allow us to launch the products we know our customers need (such as the industry top-selling items offered in our new PCB Electronics Rework/Repair Production Chemicals line), and that our key distributor partners and sales teams can effectively sell. 80:20 gives us insight into developing value-added products that solve real problems for our customers. Q Source, once again, thanks ACL Staticide’s Steve Allen for his Guest Blog contributions to The Q Source Resource. For information about ACL Staticide products, please visit our ACL Staticide Department at QSource.com. You may also contact us via email or phone at 800-966-6020 and one of our associates will be happy to answer your questions or assist you with an order. If there's a product or topic you'd like to see The Q Source Resource write about please let us know. We'd also appreciate if you share this blog post with your friends and colleagues via the social media links below. If you have questions or comments about the 80:20 rule or about ACL Staticide products please leave us a message in the comments section. Leading off this week, how would you feel about your car doing all the work for you? TE Connectivity shared this post about the debut of Google’s driverless cars. In another Teens React post, Laughing Squid shared the responses of current teens after they viewed an instructional video about the Internet from 1997. Yes, that’s right kiddies, there once was a world without Facebook, Twitter, and Google. MAKE Magazine’s post shows us that beauty is found in even the most unexpected places…even in the inner workings of disassembled appliances. We’re not sure whether to be in awe of this, or just utterly creeped out. Check out Mashable’s post about a 3D-printed replica of Vincent van Gogh’s ear based on DNA from a distant relative of the great artist. EE Times’ post presents this amazing story about how the then emerging digital photography technology helped to get the famous Tank Man images out of China 25 years ago. And we close out this week’s column with our post recognizing the 70th anniversary of D-Day. Save 30% off the MSRP on a Steinel HG 2310 LCD Programmable IntelliTemp™ Heat Gun w/Multi-Purpose Accessory Kit (MFG Part Number: 34876) when you use our FPF060614 Coupon Code. This Featured Product Friday (FPF) promo is valid from today, June 6, 2014 through Sunday, June 8, 2014. 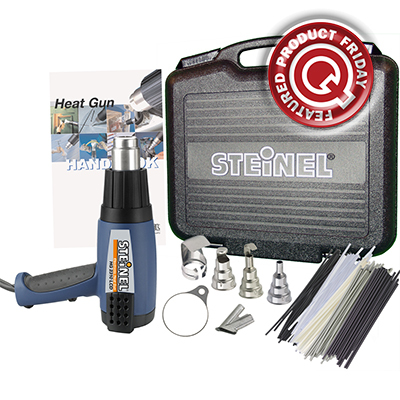 This Steinel IntelliTemp Heat Gun Kit (Q Source SKU: S047-000049) is great for sensitive applications where precision and control are critical and features an LCD display and LOC Lockable Override Control for temperature and airflow output settings. Regularly listed at $378.00, but with our FPF code savings you’ll get it for just $265.00 (a savings of $113.00). While this is a 3-day limited-time price, the coupon is unlimited. Use the code as many times as you like while it is valid—and please feel free to share the code with your friends & colleagues, too. The Dazor J203HHM Mini Hand-Held Portable Magnifier is a fast and easy inspection tool that provides hands-free operation and distortion-free viewing. This magnifier features LED lights, 50,000 hours of service, a built-in stand, and a carrying case. Check out our Flickr photo set to get a closer look at Dazor’s J203HHM. To purchase this Dazor Mini Hand-Held Portable Magnifier please visit QSource.com. Leading off this week, X-ACTO shared this touching Memorial Day photo in honor of fallen heroes. Sure, you can make food with a 3D Printer, but how does it taste? According to this post by ThomasNet.com…it’s pretty good! Laboratory Equipment magazine’s post about SpaceX’s new Dragon V2 spacecraft had us thinking of space adventures from old sci-fi movies. What will the assembly line of the future look like? Check out this post by Assembly Magazine for one possibility. If the kids in this post by Mashable reacted this way to an old Apple II, we’d love to see what they would do with a black and white TV or a transistor radio. And we close out this week’s column with our post of a Mental Floss piece about others, like us, who are turning 30 in 2014.